Just discovered, FatPipe NetFlow support is available on FatPipe’s WARP 5.2 high-speed clustering device. We are in the process of checking out this export to see if they are exporting any additional information beyond the NetFlow v5 tuple. I’m sure the developers at FatPipe are discussing exporting IPFIX to report on their patent pending SmartDNS and Inbound line failover, as well as their WAN optimization. As WARP is currently exporting NetFlow v5, Scrutinizer supports their export. 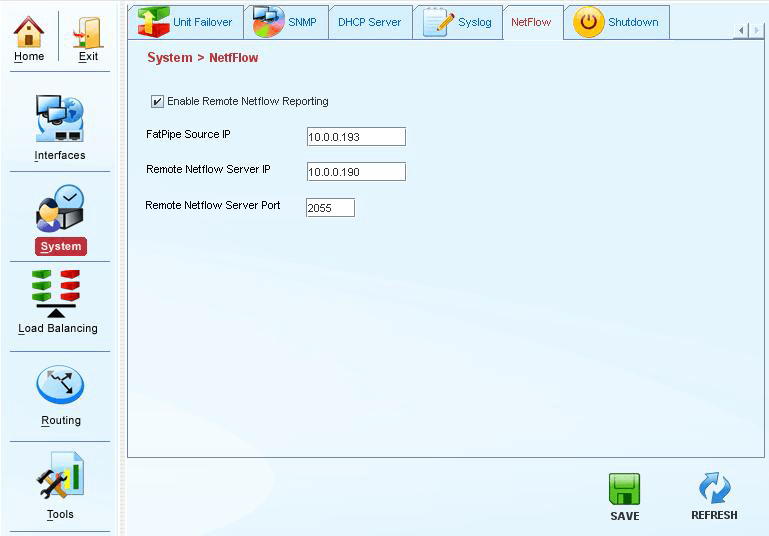 Follow these simple directions to export NetFlow to your Scrutinizer installation today. If this is enabled, the source IP, Remote Netflow server IP and port number can be configured. Fatpipe Source IP The Fatpipe LAN IP. The IP of the remote server in which the NetFlow is configured. The remote NetFlow server port number. Thomas Pore is the Director of IT and Field Engineering at Plixer. He developed and leads, the Malware Incident Response and Advanced NetFlow Training programs which are being offered in cities across the USA. He is also an adjunct professor at the local community college and teaches ethical hacking. Thomas travels the globe meeting with customers and trying improve the Scrutinizer network incident response system. He helps clients optimize threat detection strategies and aids in the configuration of custom incident response solutions. He has a Bachelor of Science in Computer Science from Dickinson College.